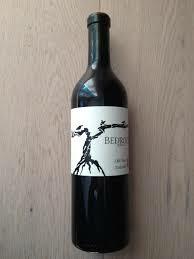 This (practicing organic) blend of Tempranillo (95%), Garnacha (3%), and Graciano (2%) originates from the Rioja DOCa of Spain. More specifically, a combination of 3 vineyards including “El Codo,” El Llano,” and Fina Iscorta.” Vines average 40 years in age. Wine is aged for 2 years in American oak and bottle aged for an additional 18 months. This is a lovely bang for your buck everyday drinker (or gulper). Tons of fruit with an incredible nose. Easy tannins make this wine extremely approachable. Still not convinced? This wine has been scoring in the 90s for the past 19 years from a multitude of reviewers from all over the world. Give it a try. It will not disappoint. Best served with tomato based dishes. Try it with your favorite slice of pizza! And with good friends! This 100% riesling (practicing organic) originates from the Mosel region of Germany. More specifically, it is sourced from Wintricher Ohligsberg and Piesporter Goldtröpfchen. Fermented in stainless steel. This wine is incredible…You will get strong grapefruit on the nose with lemon sorbet on the tongue. It is a “good” tart. It is thick, almost a sense of a heavy layer of flavors that leaves a nice mouthfeel. It’s adult italian ice (from Germany). Best served with your favorite pad thai take out and good friends! This blend (practicing organic) of Zinfandel (88%) and Petite Sirah, Carignan, Alicante Bouschet and other unspecified varietals (12%) originates from all over California. More specifically, Bedrock Vineyard, Teldeschi Ranch, Sodini Ranch, Nervo Ranch, Katushas, Evangelho, Esola, Casa Santinamaria, and Story Vineyard. The age of vines average over 80 years in age. Old Vine Zin lets you know that it should be fruit forward with lots of dark fruit. This wine does not disappoint. It is juicy! Blackberries and plum notes persist throughout. It is jammy to to say the least! Enjoy this wine with your favorite bbq and your friends! 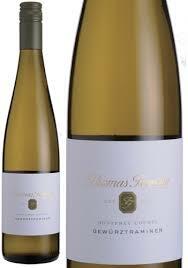 This100% Gewurztraminer (practicing organic) originates from Monterey County, California. More specifically, the Scheid Viento Vineyard at the base of the Santa Lucia Mountain range. Harvesting takes place at two times in early September based on ripeness. This allows for greater complexity in the overall blend. Fogarty has achieved a special summer wine with this Gewurztraminer. “Elegant” might be the best way to describe this wine. Lots of Jasmine and ginger on the nose. Incredibly balanced for a varietal that is often over the top. This wine is best served with exotic spicy foods. Try it with your next Indian or Middle Eastern take out. And with your friends! This 100% Cabernet Sauvignon originates from the Yakima Valley of Washington. More specifically, it is a blend of David O’Reilly’s favorite vineyards. These include Elerding Vineyard, Red Willow Vineyard, DuBral Vineyard and Outlook Vineyard. 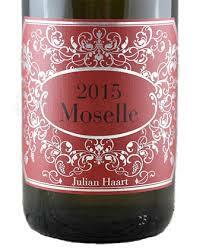 This wine is matured in French oak barrels for 18 months (41% new, 12% third-year barrels, 45% neutral barrels). Case production is limited to 715. We are excited to bring back Owe Roe to our wine club! Have you had a chance to try any of Owe Roe’s fantastic wines?! Well if not, you are in for a treat for sure. Think “Vanilla Cherry Coke” Silky smooth with tannins that provide incredible structure to this wine. 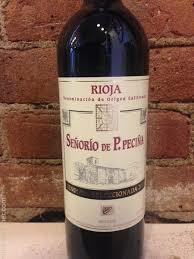 You can enjoy this wine right out of the bottle today or age it for the next 15-20 years. This 100% organic Chardonnay is grown in heavily fractured Lambert Shale at an elevation of 1,890 feet. 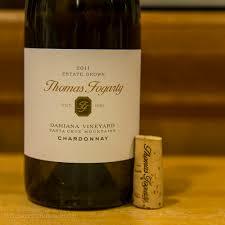 Originally planted in 1978, Damaina is the oldest of all Thomas Fogarty’s vineyards. The Southwest exposure allows for lots of sun through the growing season while its location in the Santa Cruz Mountains offers weather of many varied conditions including intense heat, fog, and rain. Aged 10 months in French oak, (15% new) followed by 6 months in stainless steel. This is a high end elegant Chardonnay that will impress everyone. Perfect combination of butter and citrus fruit. This wine is bright and fun and perfect for our last gasp of summer weather. Best served with grilled Halibut, sugar snap peas, balsamic strawberry salad, and good friends. 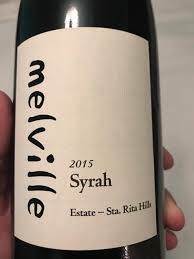 This 100% Syrah (practicing organic) originates from Sta. Rita Hills, California. More specifically, it is the Syrah clones of Estrella and Clone 99. Estrella comes from Donna’s block, known for its well drained, nutrient deficient sand. CLone 99 is from Block I, a denser sand loam soil. 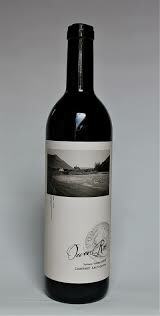 Donna’s block produces fruit with spice and floral notes while Block I brings depth and richness. Case production of 1,954. While some Syrahs are deep and dark, this one is surprisingly light. You’ll find winter syrahs that seem to be thick with weight. This one, in contract, is perfect for summer! “Delicious” describes this wine perfectly. You will get plum and blueberries. Try it by your firepit out back. You might even get a hint of charred marshmallow. Best served just as the sun begins to go down. Sit back and enjoy with your friends.